After months of counting down the days until my son and I leave for Nicaragua, today we find ourselves with exactly four weeks to go. Excited doesn’t begin to describe how we are feeling about this upcoming trip. Medically, we are ready. Yesterday we started taking the typhoid vaccine, which comes in capsules. We also have a prescription for malaria to take while we are in Nicaragua. And I was lucky enough to require a Hepatitis A shot as well, which I got last month. Aidan got to skip that as he’d already had the vaccine. Logistically, we are ready. We have begun to organize and pack the gifts we are bringing to our children, and are planning out what to take for ourselves. Our plane tickets have been purchased, and the airlines have already canceled some of our flights, so those have been rescheduled. Hopefully that won’t happen again. We got our passports months ago, so we are all set to travel. Mentally, though, I’m not sure if we are quite so prepared, but that’s all right, because I don’t think this is the kind of experience that allows for complete preparation. Sure, I’ve spent hours reading other sponsors’ blogs detailing their own visits to their Compassion children in countries all over the world. I know the general order of these trips: visiting the country office, visiting some projects, then visiting my own children. My son and I are even practicing some Spanish phrases relating to soccer so we can play more easily with our boys on visit day. But I sense in this trip something bigger than I can imagine right now, as if there is some grand experience on the horizon, and I’m peering ahead, trying to see it, but it’s a little fuzzy right now. I guess it will be more clear in four weeks. For now, I’ll focus on preparing my heart for meeting three special boys in Nicaragua, while sharing the whole experience with my own very special boy. 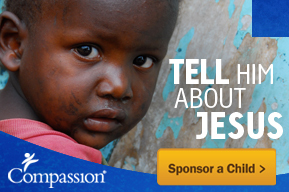 This entry was posted in Compassion International, Nicaragua. This is exciting, can’t wait to hear about it on your blog when you get back! Thanks, T – I’ll definitely be posting about this trip! So exciting!!!! I can’t wait to hear how hour trip goes!! I’ll be praying also. Do you know yet which projects you’ll be visiting? And your boys are very handsome! I haven’t heard yet which projects we’ll be visiting, but am looking forward to receiving that information! I’ll let you know!